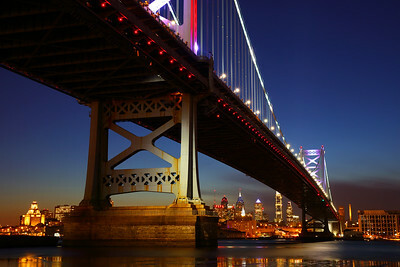 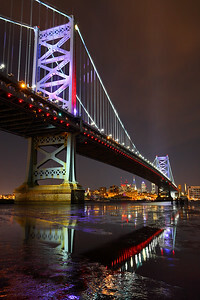 This unique view of the Ben Franklin Bridge and the Philadelphia skyline is from Camden, NJ. 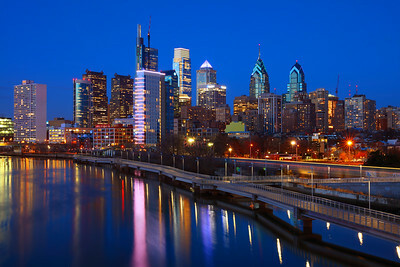 Hang out on the Spring Garden Street Bridge over the Schuylkill Expressway after sunset and this is the view you will have. 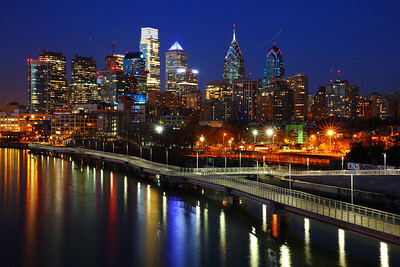 The Philadelphia skyline as seen from the South Street Bridge. 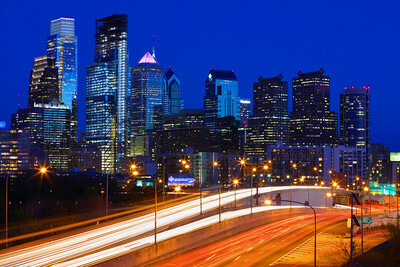 With just the right blue hour timing, the city of Philadelphia takes on a colorful sparkle.